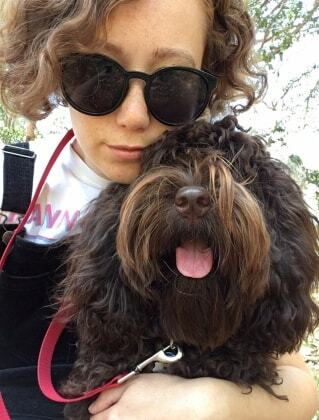 Hi There, I am an animal lover living in Newtown, Wellington who would love to look after/walk your pet! I have grown up with pets all my life, and have a history of working in both animal and child care. I have worked at NZ Bird Rescue, as an Avian Rehabilitation Assistant, at a Cattery, and have volunteered as both a dog walker and in the cattery at SPCA. I have been primarily working as a nanny for the past 5 years and have had to look after dogs at each of my jobs. I have a great passion for animals, and I always do my best to be aware of their happiness and needs. Being around animals makes me genuinely happy, and know that I will do all I can for your pet. I am comfortable with small, medium and large-sized dogs, and can cater to the obedience style that the owner prefers. I also am very fond of cats and have no issues in giving medication etc if need be. At the moment I have a lot of free time and would love to have the opportunity to care for animals. I am a reliable and responsible, and flexible person, and I can't wait to look after you pet! Our dog Lily fell for Stacey the moment Stacey started speaking to her so we knew Lily would be happy. Lily had outings to the beach and parks over the weekend and we received photos and texts to keep us up to date. Stacey was very pleasant to deal with, reliable, lovely with Lily and I felt very comfortable having her stay in our home. We would love to have her look after Lily again if needed. I am confident in animal handling, walking and socialising. I can give medications or bath dogs if need be.